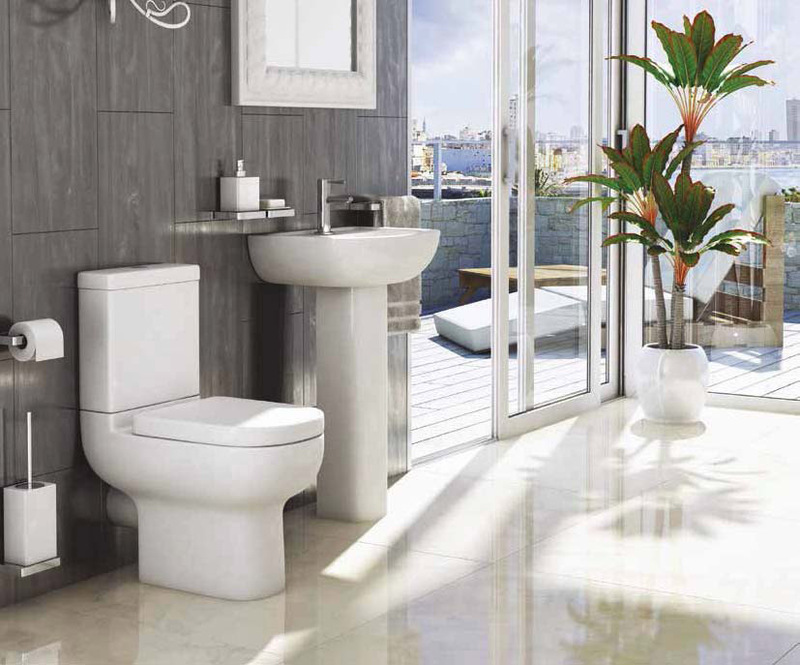 Studio Cloakroom Toilet & Basin Suite - Only £202.99! In stock now for just £202.99 including VAT! Hurry while stocks last! 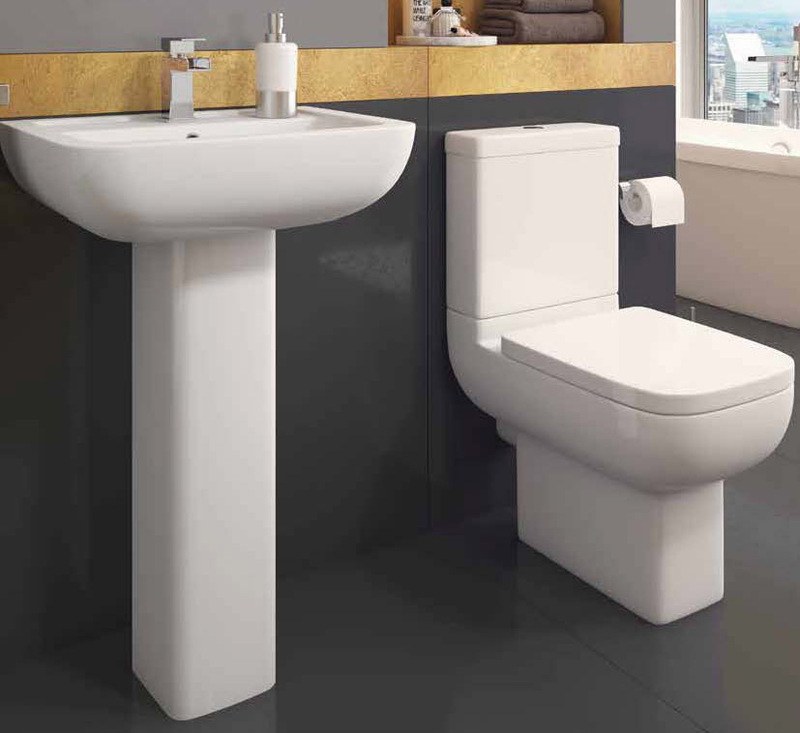 The Studio Cloakroom Toilet & Basin Suite set has a beautifully modern curved look which encompasses broad, sweeping lines and smooth, sublime rounded shapes. With a stunning glossy finish, this new range will look superb in any bathroom - whether it's a contemporary or traditional setting, the styling of the Studio Cloakroom Toilet & Basin Suite is sure to take pride of place. This high-quality, great value offers a more compact, space-efficient style with a WC projection of under 600mm, making it perfect for bathrooms where space is at a premium. 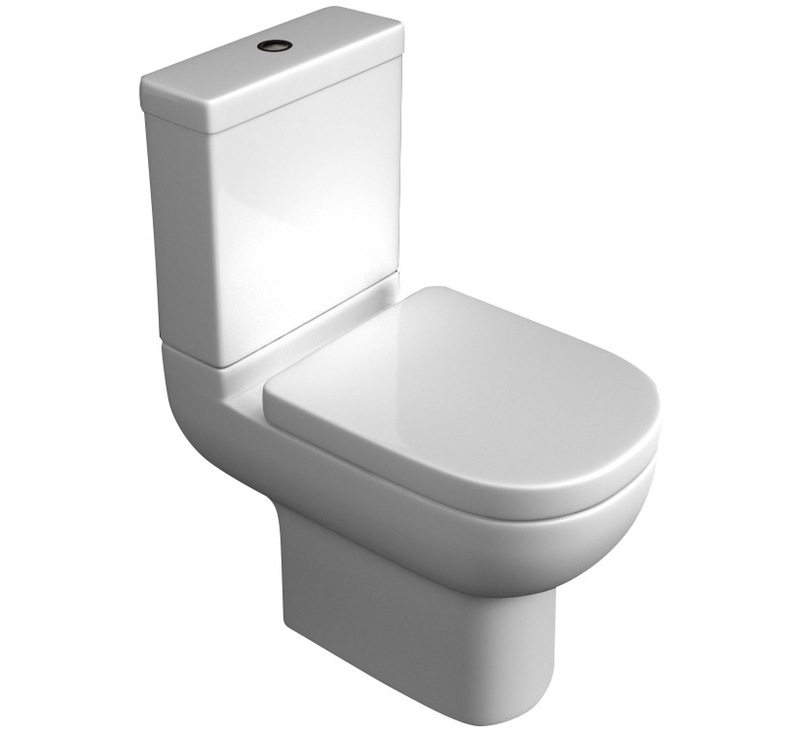 The WC has a deluxe Soft Close, Quick-Release seat and a Dual Flush 3/6 Litre mechanism which allows huge savings on water and costs. 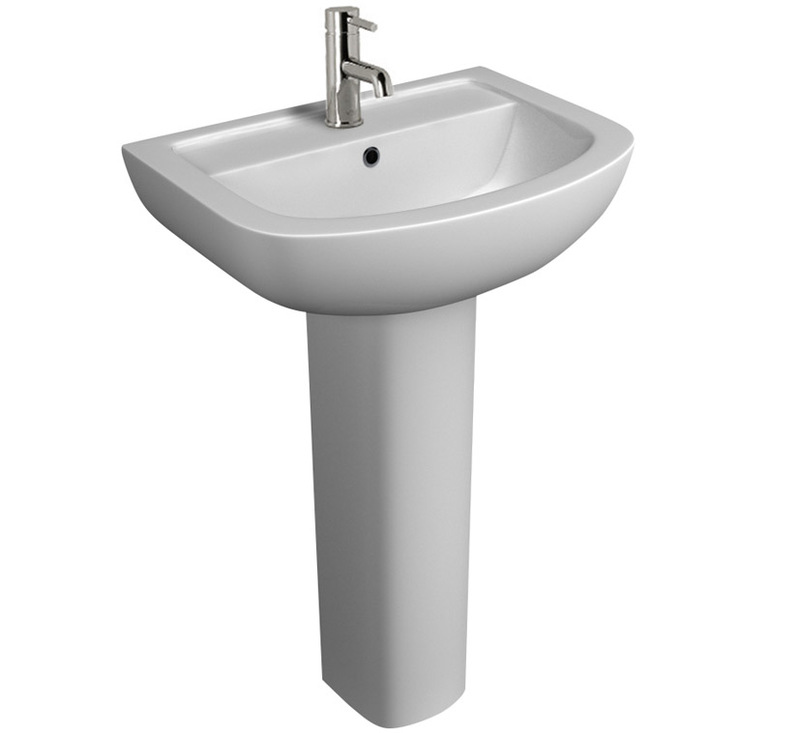 All these features, plus the superb build quality, plus the great value price, make this a highly popular addition to the VIP-Bathrooms.com range.